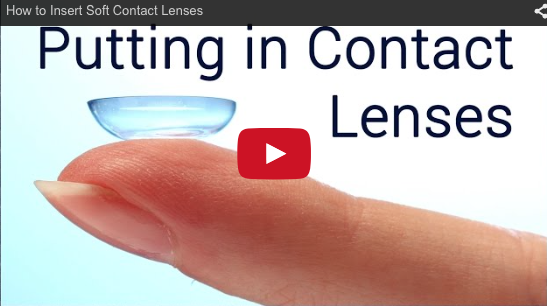 There has never been a better time to try contact lenses! New technology and lens materials mean that contact lenses have never been so comfortable or affordable. Although not everyone is able to wear contact lenses there is likely to be a contact lens suitable for your lifestyle and budget. We have a comprehensive range of Soft and Gas Permeable contact lenses in stock so many patients can have their eyes examined, contact lenses fitted and tuition on how to insert, remove and clean lenses all on the same day. If you would like to try contact lenses you will need to arrange a full sight test and contact lens examination. During these examinations our Optometrist will discuss various types of lenses suitable for the shape of your eye and your visual requirements. The information contained in these pages is intended as a guide to the different types of contact lens that are available. The type of contact lenses that are most suitable for you will depend on your lifestyle, hobbies, employment and prescription. Gas Permeable lenses are often suggested if you have a large amount of astigmatism or if your eyes require more oxygen. Initially theses lenses can be more uncomfortable than soft lenses but adaptation does not usually take long and these lenses tend to last longer than soft lenses. 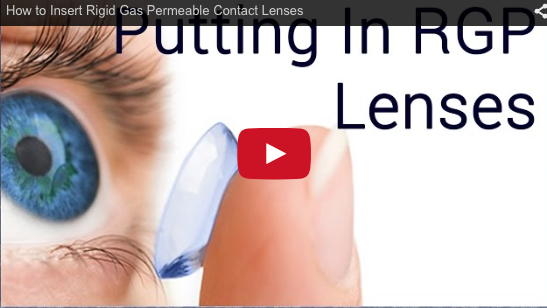 Soft lenses are larger than Gas Permeable lenses and made from a more flexible material. Soft lenses are more popular than Gas Permeable lenses because they are very comfortable to wear and easy to get used to. Soft lenses must be cleaned regularly and replaced more frequently. Soft lenses are usually replaced frequently on a either a 3 monthly, monthly or weekly basis ensuring that your lenses stay fresh, clean and comfortable. Soft lenses can also be worn on a disposable basis; lenses are worn for one day and then thrown away. These lenses are ideal for patients who would like to wear lenses occasionally or regular wearers who do not want to use cleaning solutions and care products. To help spread the cost of contact lenses all our contact lenses are available on a Direct Debit basis. We also offer a comprehensive Replacement Scheme which enables lenses and solutions to purchased at a reduced cost. If you do wear contact lenses it is important to attend for regular Aftercare appointments so we can carefully monitor the health of your eyes and ensure that we are offering you the best products for your requirements. Matheson Optometrists One Day Disposable Contact lenses. Have you ever wished that you didn't have to wear your glasses all the time? Well now you don't have to! Our new disposable contact lenses gives you the freedom to choose and are ideal for those occasion when you would rather not wear spectacles. Disposable contact lenses mean no more spectacles slipping down, or steaming up and are ideal for all kinds of sports. Each contact lens is individually packaged in a sterile container, ready to wear whenever you choose. Simply wear once and throwaway. No messy solutions, no need for cleaning, no worries! What could be easier? They are ideal for all occasions, from nights on the town and afternoons on the pitch to matches on court and special occasions.